During Thread Caravan’s inception, founder Caitlin Ahern lived with friend and mentor Shannon Hill, who played an integral role in developing the project. At the time Shannon was leading yoga adventures with her company Yoga Caravan, sister company of Thread Caravan. And now, several years later, Shannon is living in Bogota, Colombia with a new business just off the ground, Magda Made. 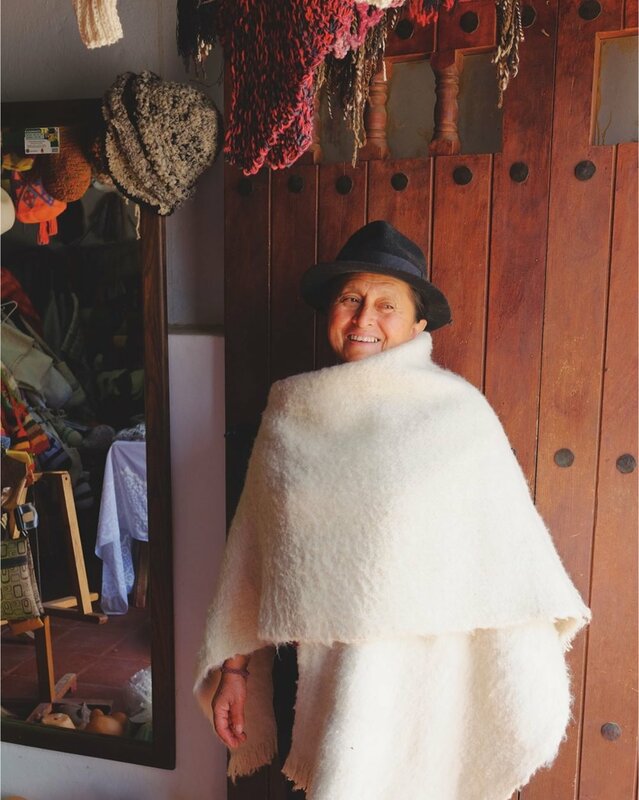 Alongside another inspiring friend, Malachi Garff, the two ladies are shining light on the beautiful craft traditions in remote mountain towns of Colombia. Read on to hear more about Magda Made, the artisans in the cooperative, the ladies behind the brand + more. Why Colombia - What drew you to start working there? 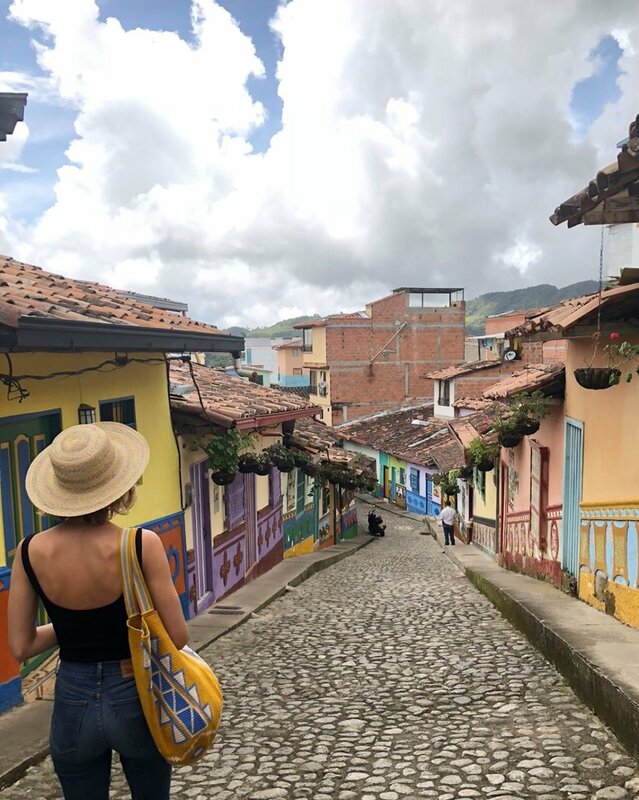 Malachi: We had talked for a long time about collaborating on a project that combined our passions and love for travel and MM seemed to fall into our lap when Shannon relocated to Bogota. Soon after moving in November 2017 she became really aware that there was an abundance of talented artisans in the country that made beautiful products but had little access to a larger market or resources. 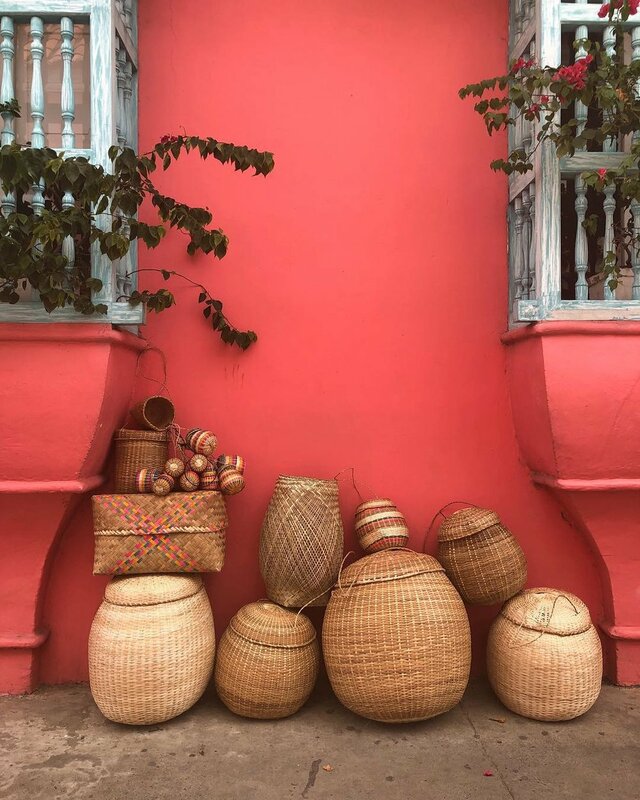 I took my first trip in March 2018 - we traveled around, met some artisans and discussed what kind of project could positively impact everyone involved - and MM started to take shape! How did you choose The name “Magda Made”? The Magdalena River is Colombia’s primary river and has served as an economic and social gateway for hundreds of years. Colombia is a huge country and the Magdalena runs through much of it, providing opportunities for many communities. What is your favorite part of the Magda Made business? Mal: I love meeting the artisans, I love hearing their stories and how they came into their craft. Their experience and our connection with them and their families are big for me. Shan: It’s really nice each time we get to visit and support an artisan again. I also love traveling around the country and seeing how diverse Colombia is both culturally and geographically. How do you connect with the artisans you work with? We’ve laughed about this question because we get asked this a lot and the answer is that there is no real answer - we have found them in more formal ways through local organizations or cooperatives, and we’ve literally stumbled across them in remote villages by asking locals who makes what and where we can find them. We’ve also taken some pretty epic road trips to meet new makers. The artisans we’ve met are so welcoming and proud to bring us into the folds of their community and work. Can you share a story about some of the groups you work with? Alba Beltran is the artisan who makes our hats. She makes them out of two natural fibers - fique (maguey) and palmicho. She learned from her mother and she’s been making them her entire life. She’s the only person in the region (and I would imagine Colombia and possibly the world) that makes these specific hats and they are SO awesome and durable. It takes her several weeks to make just one! She lives on a blackberry farm with her husband and sons and each time we go visit we wind up being there for hours eating berries and arepas and drinking way too much tinto. What is a thing (or a few) that you absolutely can’t travel without? We both love complicated skincare routines - oils and serums and creams. We each have pretty serious product lineups that come with us everywhere, even if we’re washing our faces with water bottles. Oh, and dry shampoo. Where is your favorite place in Colombia? Mal: I love Bogota! It doesn’t get as much attention as Cartagena or Medellin but I find it equally as impressive. I’m dying to get to Cali though. Shan: Yikes, that’s hard but I think maybe Cali! I’ve got a long road ahead on the salsa floor but the vibe and people there are amazing. The Pacific coast and Mompox, Bolivar are at the top of my list to visit next. Any particular handmade piece that is a favorite of yours? Mal: I think our ceramics partner Ivan makes particularly beautiful vases - the Mongui vase was one of my all time favorites. Everything is one-of-a-kind and he’s always coming up with incredible new pieces. Shan: The Liana vine basket made in Mitu, Colombia would probably be mine. It’s more of an open weave basket, minimal, and often huge! I use them to hold everything from laundry to fruit to yoga blocks. Mal: We’ve gotten matching tattoos, twice. Shan: Once on the same day in the same salon I got a pretty cool bowl cut and Malachi a pixie cut and then we cried and left for a 6-month trip around SE Asia. What do you envision in the Magda Made future? We’re both eager to get the social aspect of MM up and running - partnering with a local organization, raising money for certains causes, etc - we’d both love to function more as a social enterprise with a strong emphasis on impact while continuing to source beautiful and high quality goods for a growing market. Visit the Magda Made website here. Visit the Magda Made Instagram here.